Urethane bridge gate gaskets are used as space fillers or seals between two mating surfaces. Plan Tech’s custom bridge gate gaskets are used to prevent leaks (water, air, etc) and are used in a wide range of applications due to the variation in surfaces. Polyurethane bridge gate gaskets use compression to maintain their seal. Abrasion resistant – Bridge-gate gaskets are resistant to wear caused by friction due to the presence of urethane which is known to be stronger than plastic, steel, and rubber. High load bearing capacity – Polyurethane bridge gate gaskets have a high load bearing capacity which is important because gaskets are used to create a reliable seal especially under intense pressure and heavy vibration. 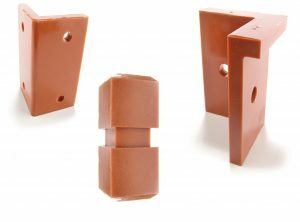 Resistant to Natural elements – The presence of urethane enables Plan Tech rubber bridge gate gaskets resistant to weather conditions such as dry, wet or damp and also water as opposed to the conventional gaskets produced. Plan Tech manufactures other types of urethane gaskets such as urethane O-Rings, urethane spacers, wastewater treatment plant urethane gaskets, tight tolerance gaskets, custom polyurethane gaskets, precision cut urethane gaskets and lots more. The inactive or downtime of your company can cost you shortage in production as well as man-hours if you settle for anything less than a superior product material. So what exactly should you take into consideration when deciding what material to purchase? The following should help answer the above question. Are you interested in cast Urethane Bridge Gate Gaskets? Please Contact us so we can help solve your requirements and work with you on your specific application!